Looking for the cheapest ski resorts and destinations? We have made af Top 10 of the cheapest ski & snowboard resorts worldwide, in Europe and in America. We have made an Top 10 list, so you can find the cheapest places to ski in Europe and America. 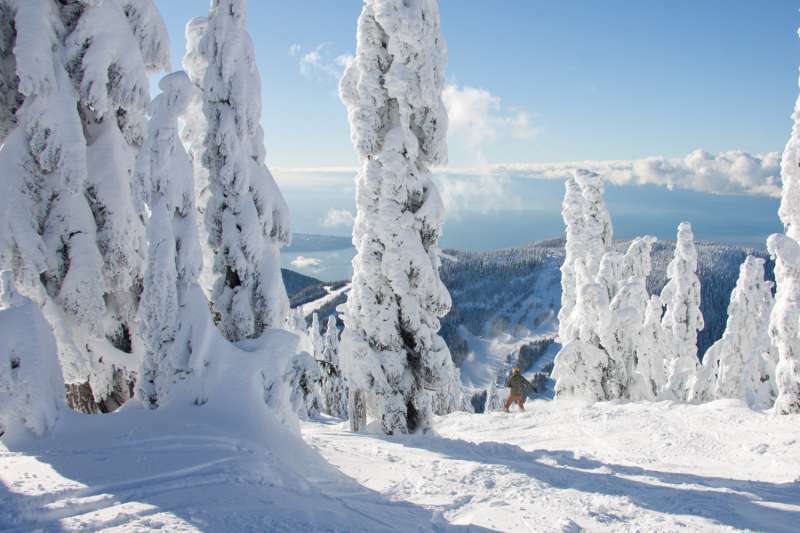 The lists include the best budget ski & snowboard resorts. If you have been skiing before, then you know it can be an expensive pleasure. Especially if you are a student or going skiing with your family, it may be a good idea to find the best budget resorts. 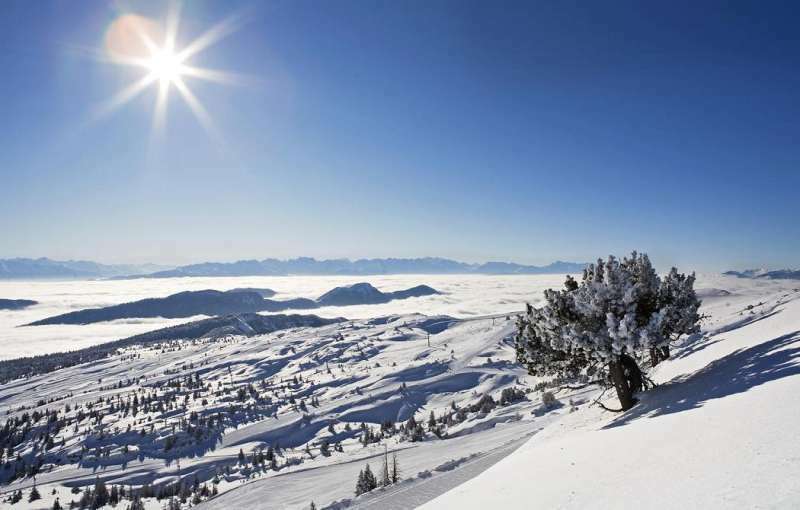 Therefore, you can use our list of the cheapest ski destinations in Europe, America and the rest of the world. From ski-resort-stat.com’s big database of worldwide ski resorts, we have found the cheapest ski resorts based on the ski pass price (price for 1 adult day converted to Euro €). 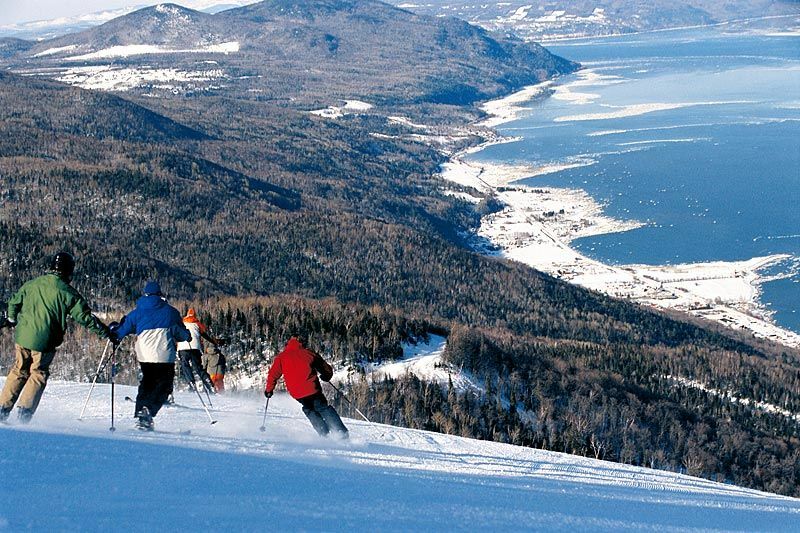 On the list you will only find ski resorts with more than 10 km. slopes and more than 5 lifts. The ski resort Aillons-Margériaz is located at Lac du Bourget (France, Auvergne-Rhône-Alpes, Savoie Mont Blanc, Savoie, Chambéry). For skiing and snowboarding, there are 24 km of slopes available. 12 lifts transport the guests. 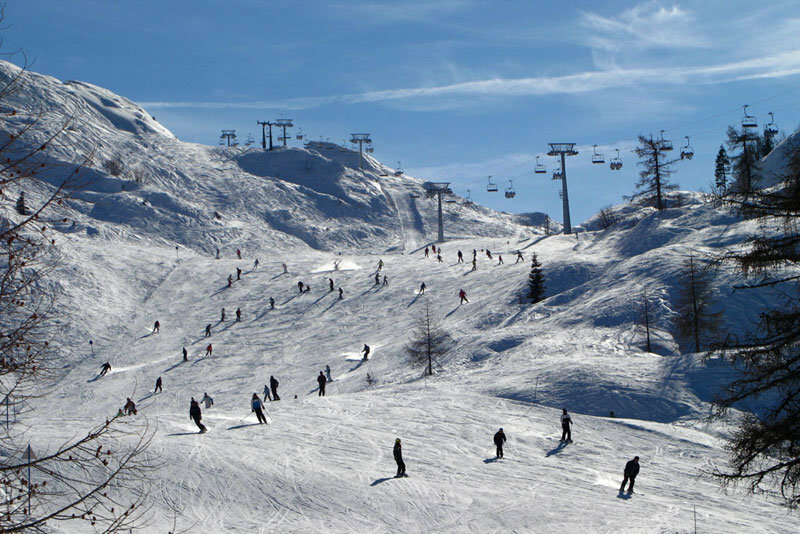 The winter sports area is situated between the elevations of 1,370 and 1,785 m.
The ski resort Gresse en Vercors is located in the Arrondissement of Grenoble (France, Auvergne-Rhône-Alpes, Isère). For skiing and snowboarding, there are 20 km of slopes available. 10 lifts transport the guests. The winter sports area is situated between the elevations of 1,245 and 1,751 m.
The ski resort Szczyrk – Skrzyczne is located in Silesian Voivodeship (Poland). For skiing and snowboarding, there are 35 km of slopes available. 15 lifts transport the guests. 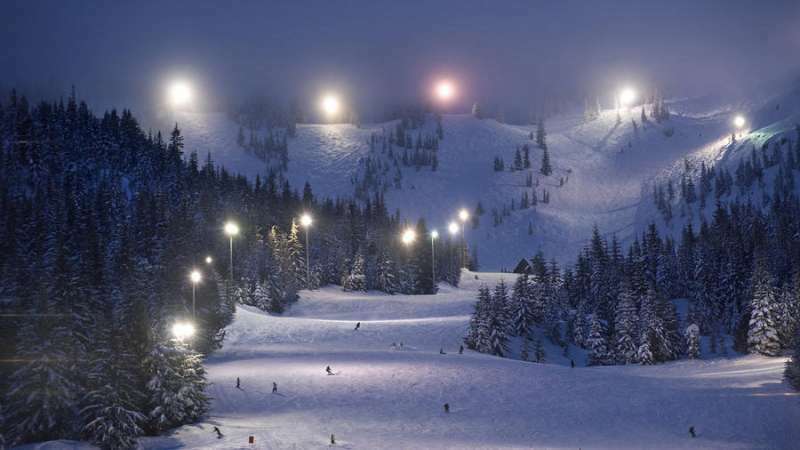 The winter sports area is situated between the elevations of 524 and 1,257 m.
The ski resort Jahorina is located in the Republika Srpska (Bosnia and Herzegovina). For skiing and snowboarding, there are 25 km of slopes available. 11 lifts transport the guests. 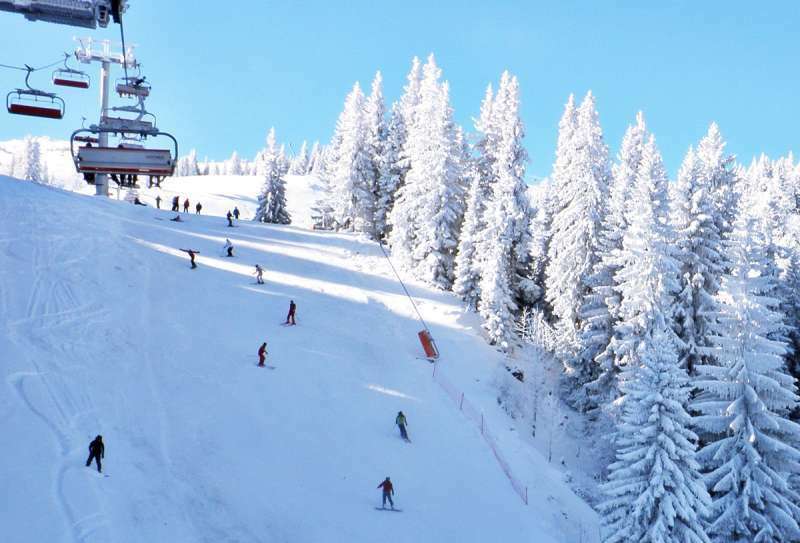 The winter sports area is situated between the elevations of 920 and 1,889 m.
The Jahorina ski resort is located within the mountain range of the same name in the Dinaric Alps south of Sarajevo. The winter sports resort was the site of the Women’s Alpine competitions for the 1984 Olympic Games of Sarajevo. There are slopes of all difficulty levels here. The usually high levels read more of natural snowfall are complemented by artificial snow production equipment. Floodlighting enables night skiing. 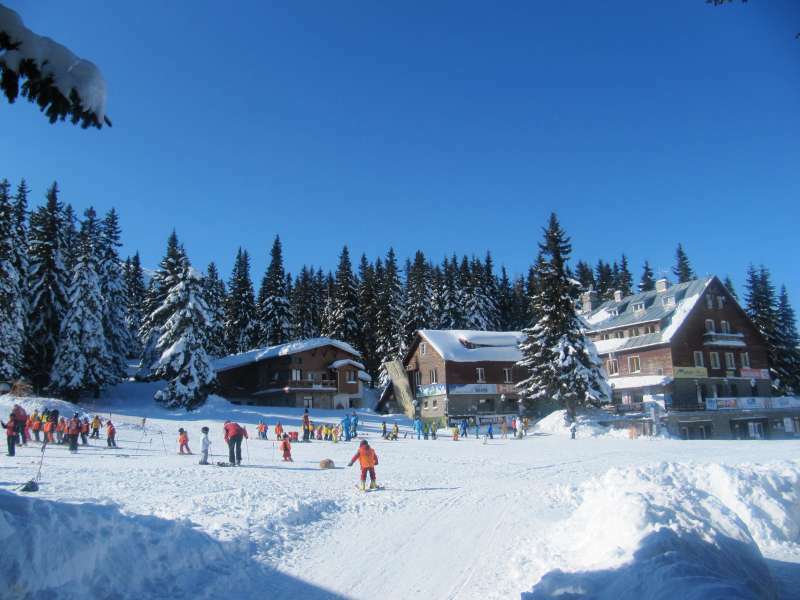 Cross-country trails and other sport facilities offer additional options in the Jahorina winter sports resort. Hotels, holiday apartments, bars and clubs are all found at the ski resort – and the city of Sarajevo is also very close by. The ski resort St. Pierre de Chartreuse – Le Planolet is located in the Arrondissement of Grenoble (France, Auvergne-Rhône-Alpes, Isère). For skiing and snowboarding, there are 35 km of slopes available. 15 lifts transport the guests. The winter sports area is situated between the elevations of 900 and 1,800 m.
The ski resort Rosa Khutor is located in Krasnaya Polyana (Sochi) (Southern Russia, Krasnodar). For skiing and snowboarding, there are 77 km of slopes available. 24 lifts transport the guests. 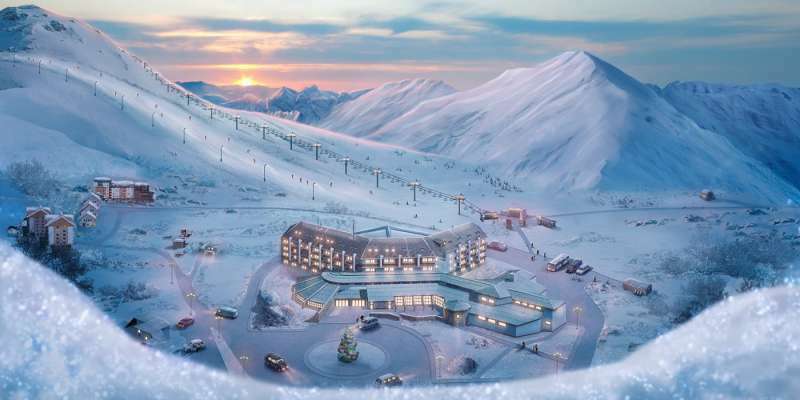 The winter sports area is situated between the elevations of 940 and 2,320 m.
Rosa Khutor is the largest of the four Krasnaya Polyana ski resorts. With the allocation of the XXII Winter Olympics to the Black Sea metropolis of Sochi, many new ski resorts were developed within just a few years in and around the previously sparsely populated (300 people) town of Krasnaya Polyana. read more Nowadays, multi-storey buildings belonging to American and Western European hotel chains, which line both sides of expansive promenades on either side of the mountain river, feature a mix of neo-classical spa city architecture with hints of the Stalinist period. The Olympic gondola leads up to a 1100 m high plateau upon which the Olympic Village is located. The ski resort begins here. Two additional gondolas lead up to the 2320 m high Rosa Peak with its high alpine terrain. The ski resort will be further developed and will be completely open to the public after the Olympic Games. The ski resort Gornaya Karusel is located in Krasnaya Polyana (Sochi) (Southern Russia, Krasnodar). For skiing and snowboarding, there are 20 km of slopes available. 11 lifts transport the guests. 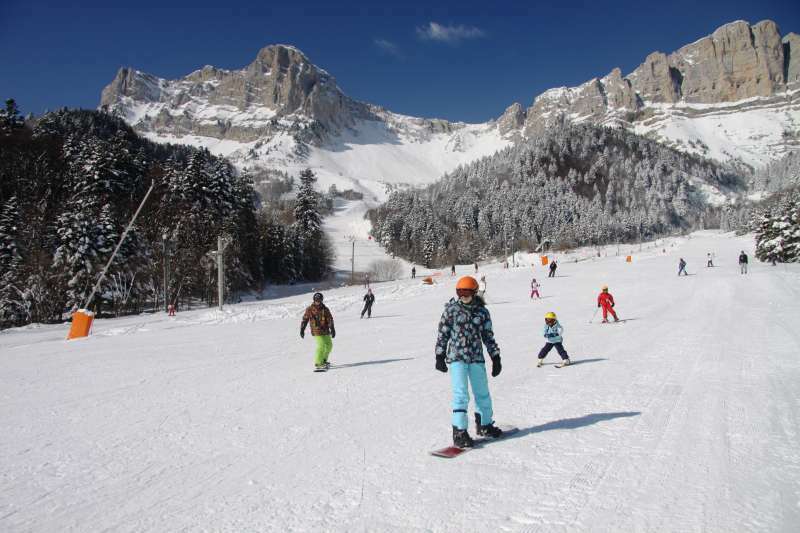 The winter sports area is situated between the elevations of 960 and 2,300 m.
The ski resort Kobla – Bohinj is located in Gorenjska (Upper Carniola) (Slovenia). For skiing and snowboarding, there are 23 km of slopes available. 6 lifts transport the guests. The winter sports area is situated between the elevations of 540 and 1,480 m.
The height of Triglav, Slovenian highest mountain, symbolically signifies a unique, protective and familiar path. 2864 is an ecological, sustainable resort. Apart from the hotel, congress center, wellness, sauna park and aquapark with indoor and outdoor swimming pools, it has already started the project of building an eco ski-resort and bike park with the longest ski pistes in Slovenia. The ski resort Białka Tatrzańska – Kotelnica/Kaniówka/Bania is located in Lesser Poland Voivodeship (Poland). For skiing and snowboarding, there are 16.3 km of slopes available. 18 lifts transport the guests. 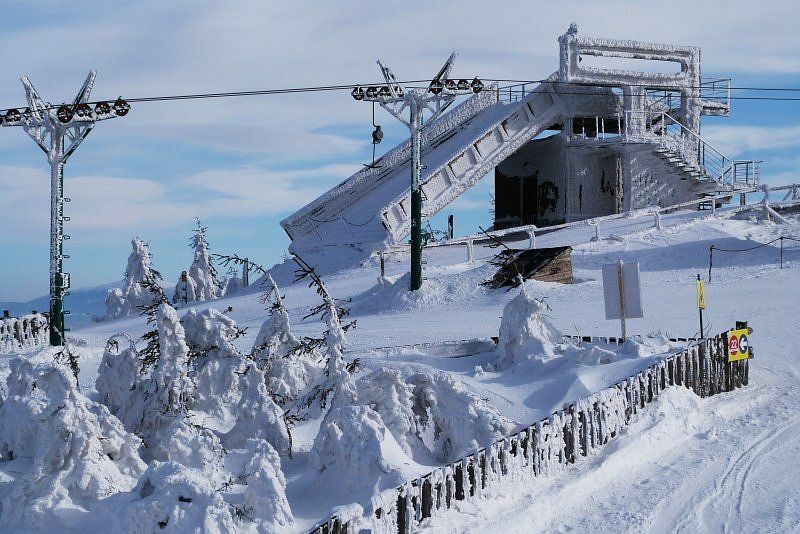 The winter sports area is situated between the elevations of 680 and 910 m.
Bialka Tatrzańska consists of three ski resorts: Kotelnica, Kaniówka and Bania. 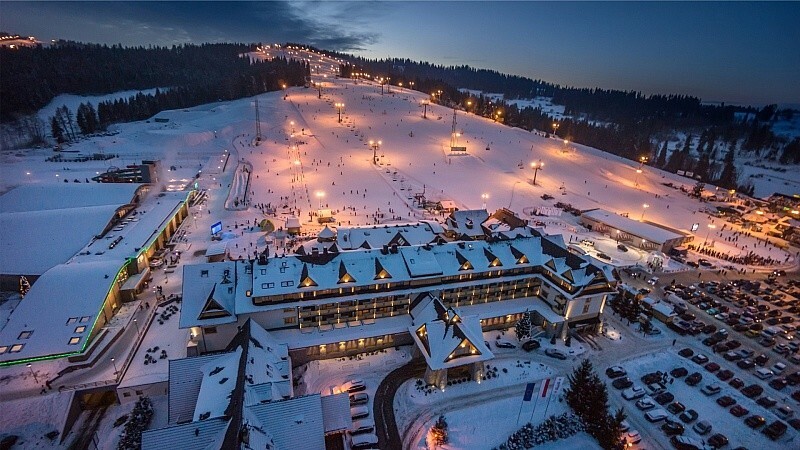 Together, they form one of the largest and most modern ski resorts in Poland. You can ski all of them with one ski pass. Further investments are planned for the future. 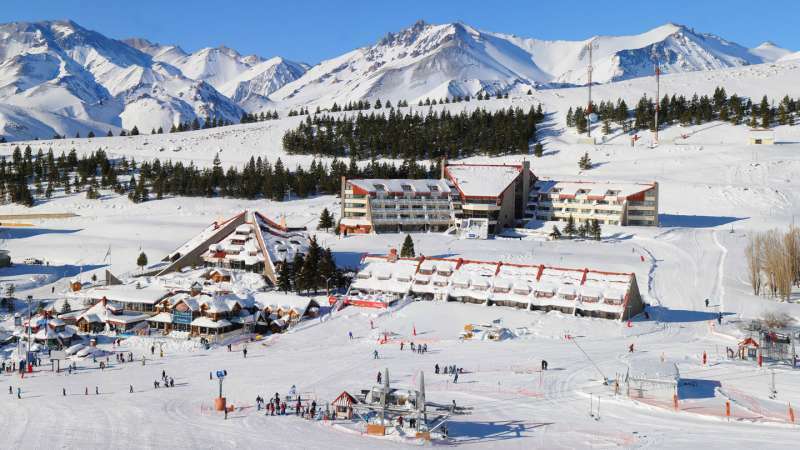 The ski resort Las Leñas is located in the Mendoza Province (Argentina). For skiing and snowboarding, there are 52 km of slopes available. 13 lifts transport the guests. 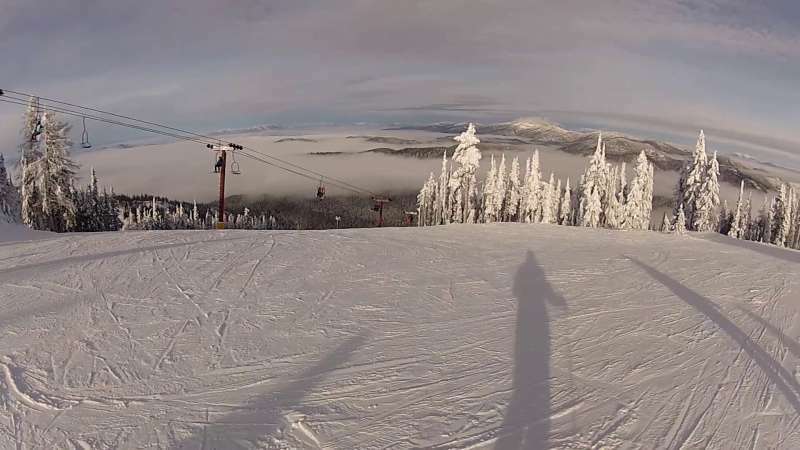 The winter sports area is situated between the elevations of 2,200 and 3,430 m.
The ski resort Cypress Mountain is located in Metro Vancouver (Canada, British Columbia, Vancouver, Coast & Mountains, Lower Mainland). For skiing and snowboarding, there are 51 km of slopes available. 6 lifts transport the guests. 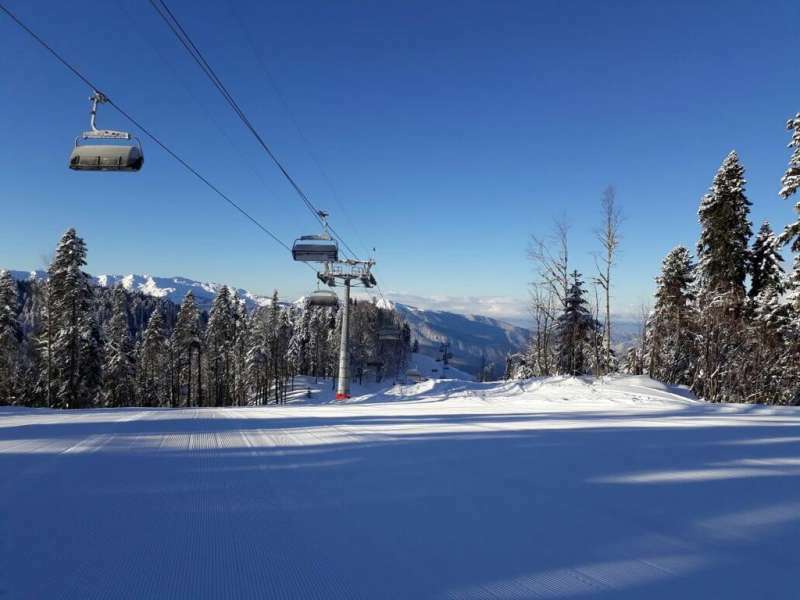 The winter sports area is situated between the elevations of 824 and 1,440 m.
The ski resort is on one of the three local mountains above Vancouver and offers a beautiful view of the city and the Pacific Ocean. The ski resort was also the venue for the 2010 Winter Olympic Games. The ski resort Mt. Hood Skibowl is located in Oregon (USA). For skiing and snowboarding, there are 65 km of slopes available. 9 lifts transport the guests. The winter sports area is situated between the elevations of 1,120 and 1,510 m.
The ski resort Apache is located in New Mexico (USA). For skiing and snowboarding, there are 55 km of slopes available. 11 lifts transport the guests. 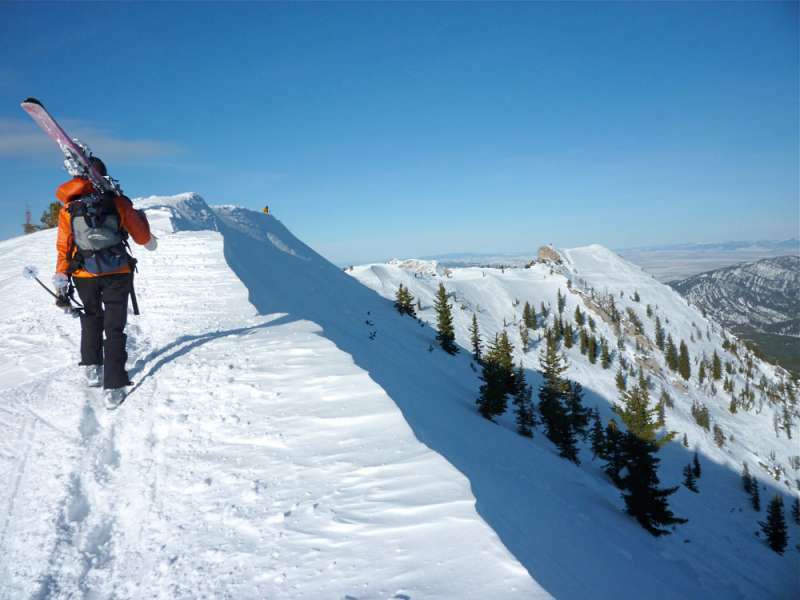 The winter sports area is situated between the elevations of 2,926 and 3,475 m.
The ski resort Bridger Bowl – Bozeman is located in Montana (USA). 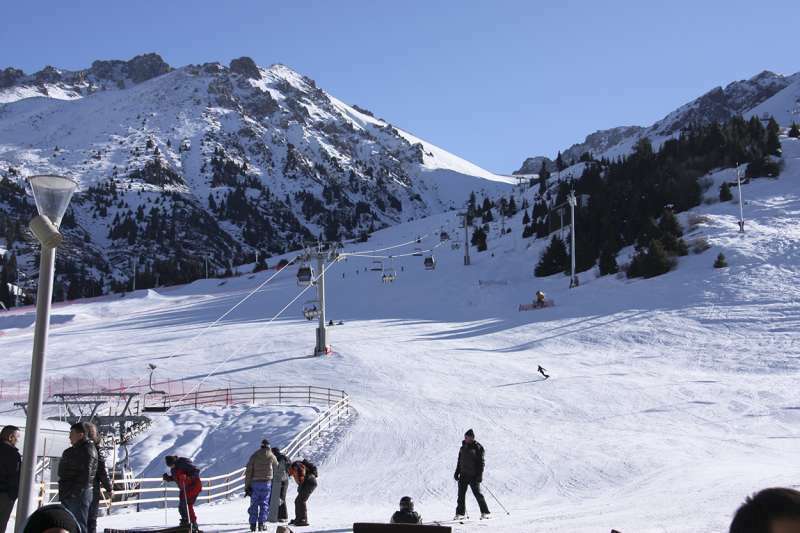 For skiing and snowboarding, there are 71 km of slopes and 10 km of ski routes available. 9 lifts transport the guests. The winter sports area is situated between the elevations of 1,860 and 2,682 m.
The ski resort Mt. Baker is located in Washington State (USA). For skiing and snowboarding, there are 100 km of slopes available. 10 lifts transport the guests. 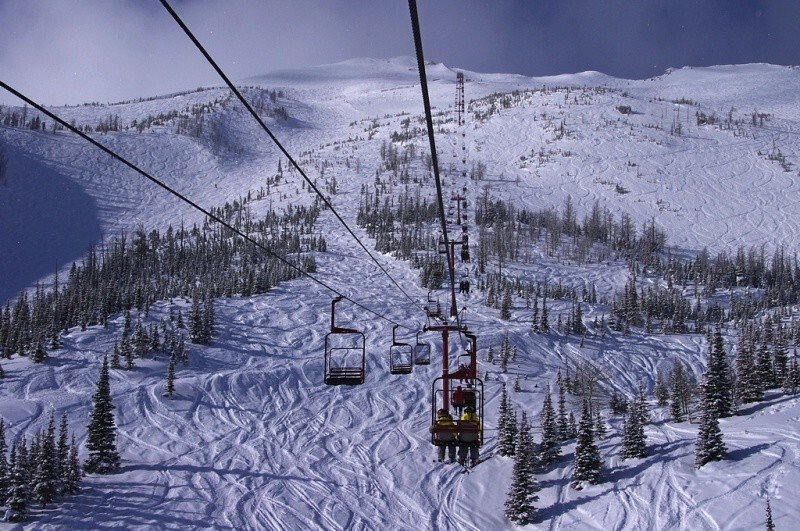 The winter sports area is situated between the elevations of 1,070 and 1,525 m.
The ski resort Castle Mountain is located in Southern Alberta (Canada, Alberta). For skiing and snowboarding, there are 94 km of slopes available. 6 lifts transport the guests. The winter sports area is situated between the elevations of 1,410 and 2,273 m.
With an average annual snowfall of 900 cms, the white stuff here satisfies any snow hound’s appetite. If it’s terrain you’re after, Castle Mountain serves it up Rocky Mountain style. We’ve got 2833 vertical feet of steeps, deeps, natural drops, chutes, bowls, glades, groomed cruisers and gentle rollers. read more Castle’s Powder Stagecoach takes you on a one day backcountry adventure to ride open bowls and secret powder stashes. 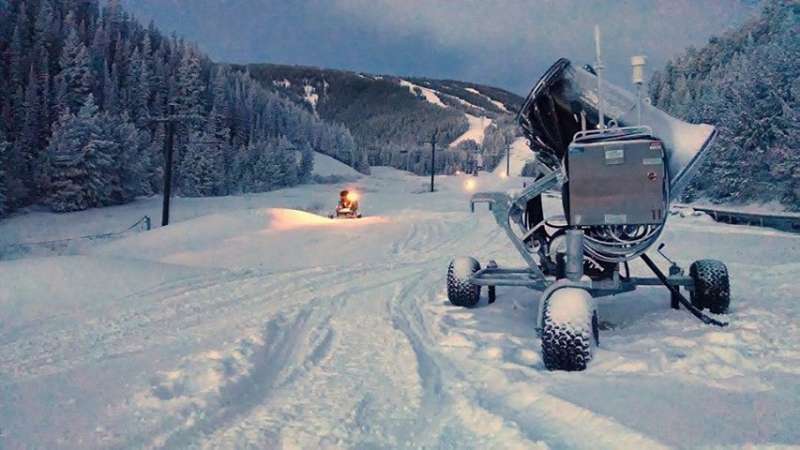 The Powder Stagecoach Cat Skiing is one of the very few resort-based Cat Ski operations in western Canada and is Alberta’s Best Cat Skiing adventure. 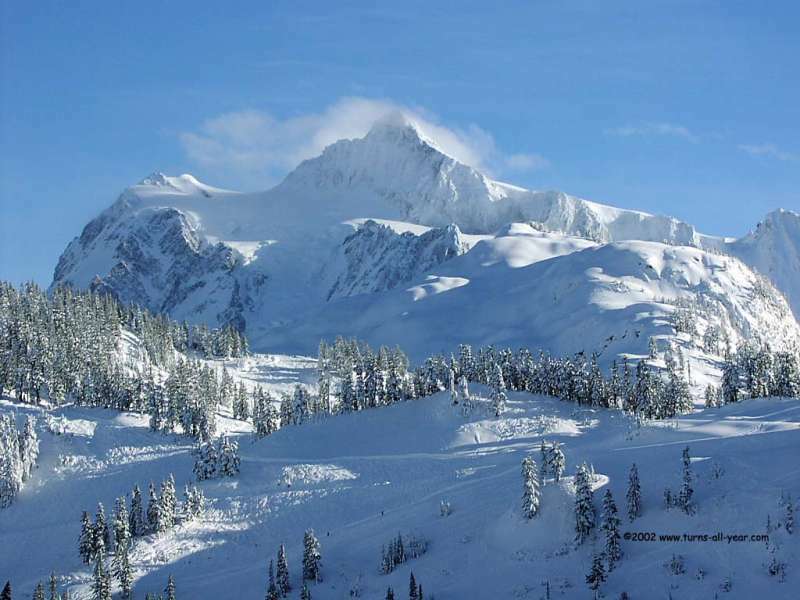 The ski resort 49 Degrees North Mountain Resort is located in Washington State (USA). For skiing and snowboarding, there are 68 km of slopes available. 7 lifts transport the guests. The winter sports area is situated between the elevations of 1,195 and 1,760 m.
The ski resort Gudauri is located in Mtskheta-Mtianeti (Georgia). For skiing and snowboarding, there are 60 km of slopes available. 11 lifts transport the guests. The winter sports area is situated between the elevations of 1,990 and 3,279 m.
Gudauri is the largest and highest ski resort in Georgia and it continues to grow at a rapid pace. Mt. Sadzele (3,307 m) is accessed by lifts up to 3,279 m elevation. There are slopes of all difficulty levels for skiing and snowboarding and the slopes are FIS certified. The winter sports resort also read morelures visitors with its freeriding and heli-skiing opportunities. Large quantities of natural snow make the surrounding peaks on the border between Europe and Asia an ideal territory for powder enthusiasts. 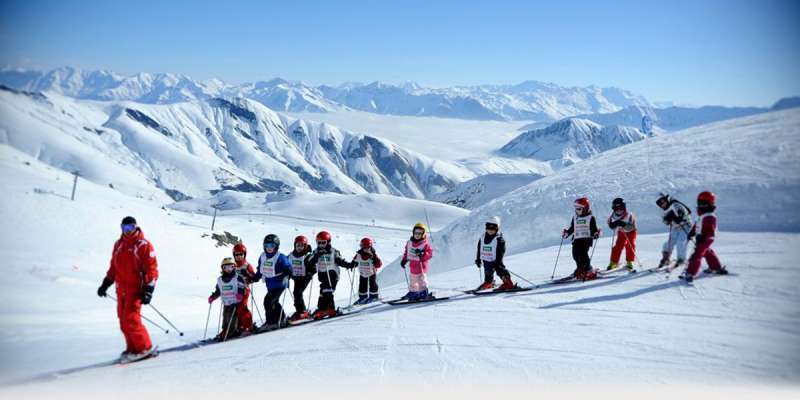 The winter sports resort is located on the Kreuz Pass, about 120 km north of Tbilisi. A modern ski resort for all types of skiing has developed here, in the middle of the Caucasus mountains away from mass tourism. Cat skiing, night skiing, cross-country trails, ski tours and snow tubing are also offered in Gudauri. The ski resort Shymbulak (Chimbulak) is located in Kazakhstan. For skiing and snowboarding, there are 20 km of slopes available. 6 lifts transport the guests. 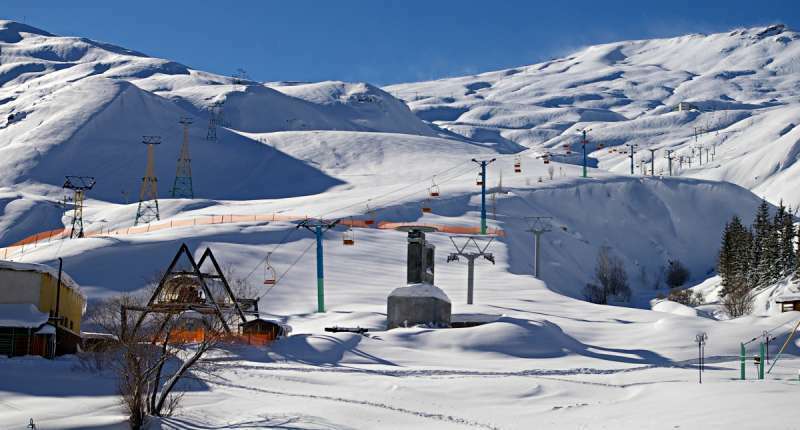 The winter sports area is situated between the elevations of 2,260 and 3,163 m.
The ski resort Dizin is located in the Tehran Province (Iran). For skiing and snowboarding, there are 18 km of slopes available. 18 lifts transport the guests. 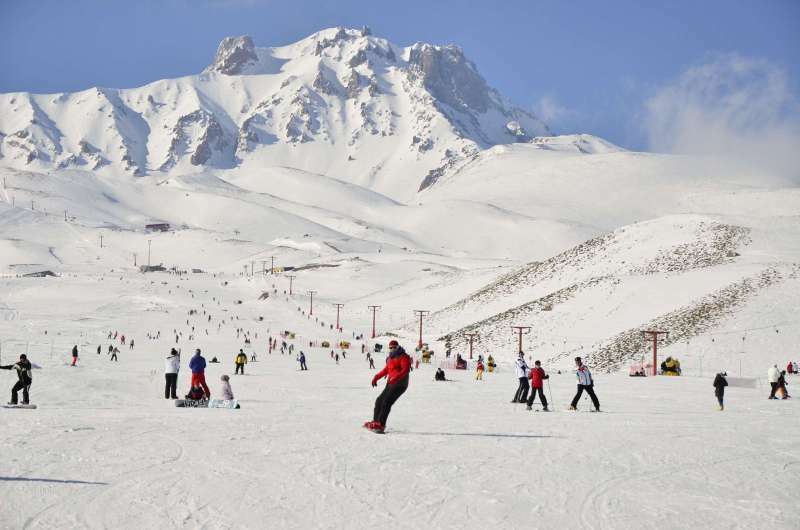 The winter sports area is situated between the elevations of 2,530 and 3,506 m.The ski resort Dizin is located in the Tehran Province (Iran). For skiing and snowboarding, there are 18 km of slopes available. 18 lifts transport the guests. The winter sports area is situated between the elevations of 2,530 and 3,506 m.
The ski resort Gala Yuzawa/Ishiuchi Maruyama is located in the Niigata Prefecture (Japan, Honshu, Chūbu). For skiing and snowboarding, there are 25.8 km of slopes available. 26 lifts transport the guests. The winter sports area is situated between the elevations of 256 and 1,181 m.
The ski resort Nozawa Onsen is located in the Nagano Prefecture (Japan, Honshu, Chūbu). For skiing and snowboarding, there are 44.5 km of slopes available. 18 lifts transport the guests. 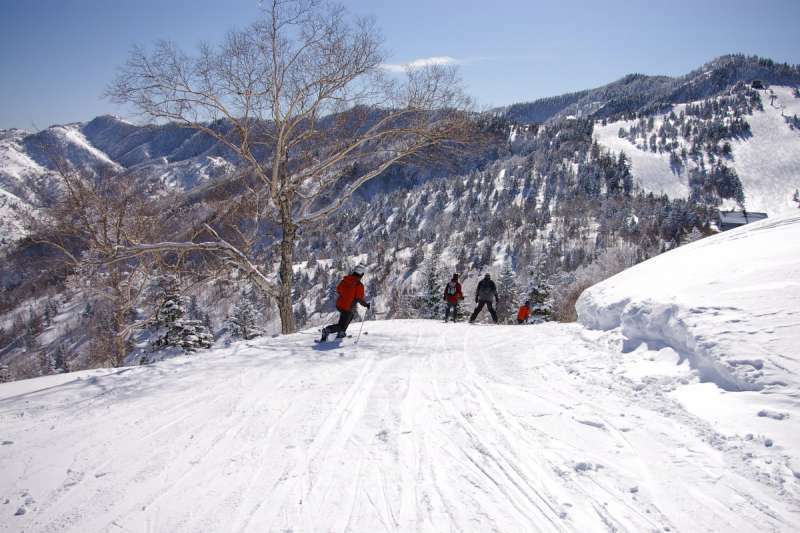 The winter sports area is situated between the elevations of 565 and 1,650 m.The ski resort Nozawa Onsen is located in the Nagano Prefecture (Japan, Honshu, Chūbu). For skiing and snowboarding, there are 44.5 km of slopes available. 18 lifts transport the guests. The winter sports area is situated between the elevations of 565 and 1,650 m.
The ski resort Shigakogen Mountain Resort is located in the Nagano Prefecture (Japan, Honshu, Chūbu). For skiing and snowboarding, there are 83 km of slopes available. 58 lifts transport the guests. The winter sports area is situated between the elevations of 1,335 and 2,307 m.
The ski resort Zao Onsen is located in the Yamagata Prefecture (Japan, Honshu, Tōhoku). For skiing and snowboarding, there are 50 km of slopes available. 42 lifts transport the guests. 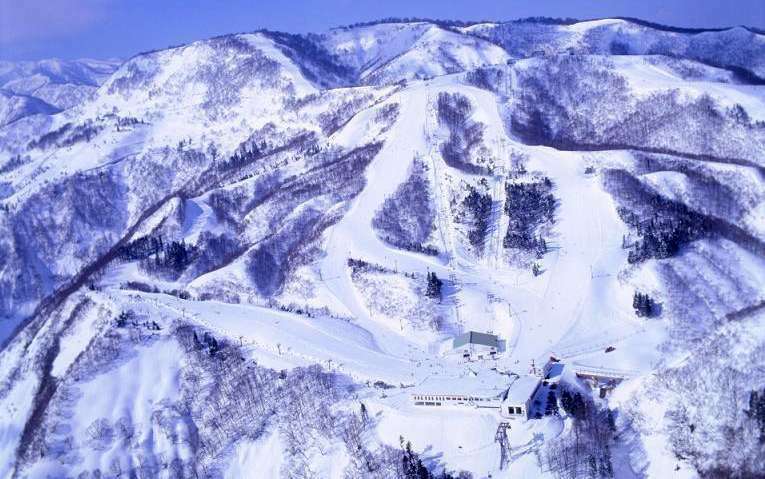 The winter sports area is situated between the elevations of 780 and 1,661 m.
The ski resort Happo-One – Hakuba is located in the Nagano Prefecture (Japan, Honshu, Chūbu). For skiing and snowboarding, there are 52 km of slopes available. 22 lifts transport the guests. 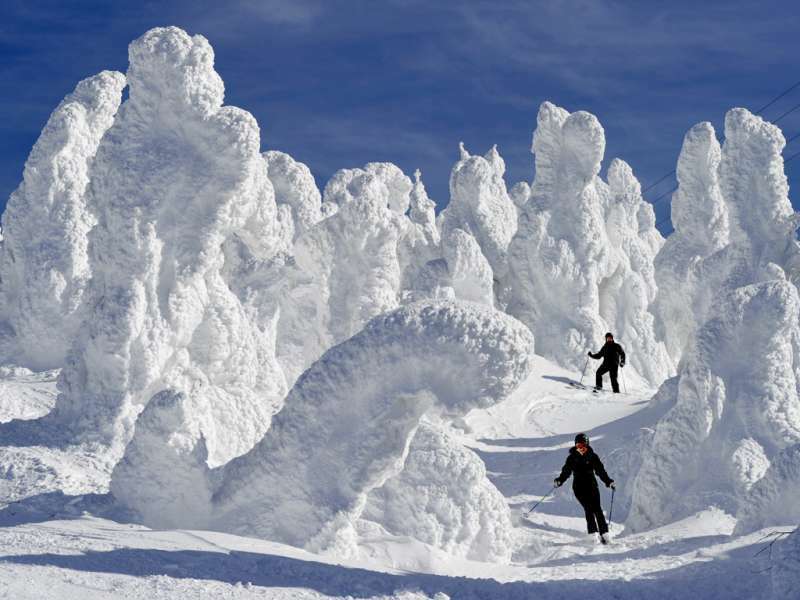 The winter sports area is situated between the elevations of 760 and 1,831 m.
The ski resort Myoko Akakura is located in the Niigata Prefecture (Japan, Honshu, Chūbu). For skiing and snowboarding, there are 20 km of slopes available. 21 lifts transport the guests. The winter sports area is situated between the elevations of 687 and 1,491 m.